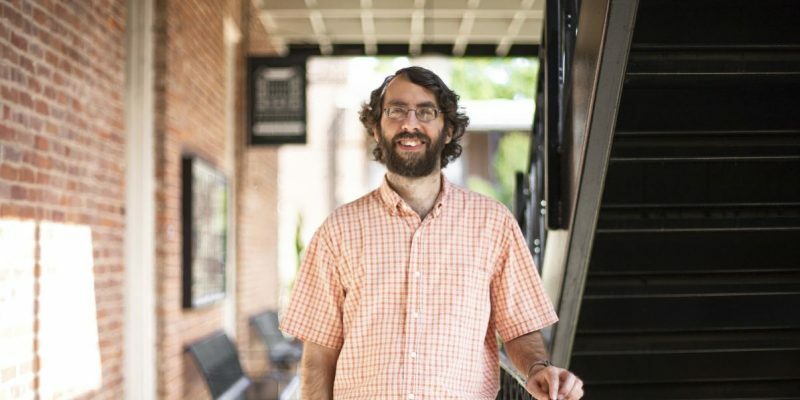 Steven Ramey, who joined the faculty as Assistant Professor in Fall 2006, completed his Ph.D. in the religions of South Asia, especially focusing on Hinduism and Islam, at the University of North Carolina at Chapel Hill. He also holds an M.Div. from Emory University in Atlanta and a B.A. in history from Furman University in Greenville, South Carolina. He has taught previously at the University of North Carolina at Pembroke and Furman University. Dr. Ramey was promoted to the rank of Associate Professor and awarded tenure in the Fall of 2011 and was promoted to full Professor in the Fall of 2016. Dr. Ramey’s primary research focuses on the contests over identifications, particularly in contexts of migration and disagreements over contemporary practices related to subgroups within a larger community. He has conducted extensive research with people from the region of Sindh who assert a clear Hindu identification but whose practices, which incorporate Hindu deities and texts, the Guru Granth Sahib, and Sufi saints, lead others to question the Hindu identification of the Sindhis. He has also researched South Asian religions in the southeastern United States, especially focusing on Indo-Caribbean Hindus and Sindhi Hindus in this context. He uses the case of the Sindhi Hindus, Indo-Caribbean Hindus, and other subgroups to analyze the ways religious boundaries are constructed and contested in both academic studies and contemporary societies and the impact of those processes on minority groups. Using his ethnographic work in India and the Southeastern United States, he has published and presented on the ways Sindhi Hindus construct their community and practices in various contexts, represent themselves to non-Sindhis, and negotiate the challenges that their minority position creates. 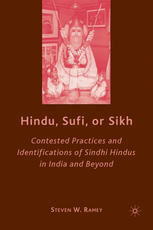 His book, Hindu Sufi or Sikh: Contested Practices and Identifications of Sindhi Hindus in India and Beyond, was published in 2008 with Palgrave Macmillan press. 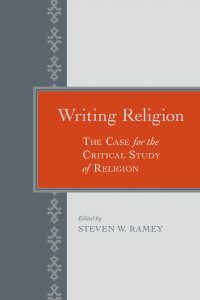 He is also editor of Writing Religion: The Case for the Critical Study of Religion (University of Alabama Press, 2015), which honors the first decade of the department’s Aronov lecturers. 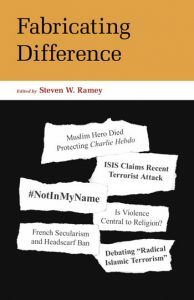 Most recently, he has applied the results of his previous research to analyze the construction of differences, both in relation to those who identify as not religious and to discourses surrounding Islam in the United States. His edited volume Fabricating Difference was published in summer of 2017. Dr. Ramey also participates in the Culture on the Edge Research Collaborative, regularly contributing to its blog and editing the Culture on the Edge: Studies in Identity Formation book series published by Equinox Publishers. He has also written for the Bulletin for the Study of Religion and the Huffington Post. Check out his A Good Book episode. Watch his interview discussing REL 102: Intro to World Religions. What’s the Backstory on Prof. Ramey…?